Mandalay Bay Events Center is a modern entertainment and sports complex with a seating capacity of twelve-thousand. The indoor arena is located in Paradise, Nevada on the famous Las Vegas Strip, where it is under the ownership of MGM Resorts International. The venue has hosted just about everything from monster fights such as UFC, to colossal headlining acts like Katy Perry, to really big TV specials such as the Latin Grammy Awards. Even after all hosting all these seriously high-profile events, it is ready to do even more prominent and more exciting shows, which explains why Mandalay Bay Events Center tickets are such a sought-after treat among everyone looking for fun in Las Vegas. Mandalay Bay Events Center has five times been a host to the Latin Grammy Awards, starting with the initial show in 2007 and then from 2009 through 2012. In addition to this prestigious award ceremony, VH1 also held its two initial Rock Honors ceremonies at this facility. In 2008, the Bay was home to Crue Fest featuring Motley Crue, and was described as the earth's 'Loudest Show'. This summer tour lasted for two months and is said to have made about forty million dollars, being the most popular of summer festivals. As of 2012, the place has also gained recognition for holding twenty-five different UFC fights, beginning with UFC 33 all the way to hosting The Ultimate Fighter Finale 17. The same year, the events center hosted 311's several days concert where the band performed four sets comprises of a total of sixty songs. In July 2010, the complex brought the community a revival of the once celebrated Lilith Fair, which was really a travelling music festival and concert tour created by Canadian singer Sarah McLachlan, Terry McBride, Marty Diamond and Dan Fraser. The Fair has been noted for celebrating and encouraging bands led by women and solo women artists. The events center also hosted the Miss Universe Pageant of 2010 where Miss Mexico Ximena Navarrete won the crown. The center has also been talked about hosting boxing matches featuring prominent combats between Light welterweights Zab Judah and Amir Khan. The first NBA game to be hosted in Las Vegas since the eighties was held in Mandalay Bay in 2012, featuring a pre-season contest between rivals Los Angeles Clipper and Denver Nuggets. The same teams were set to play their next preseason game the following year in the same venue. Known for hosting some of the most awaited mixed martial arts and boxing events as well as concerts, Mandalay Bay Events Center has been home to shows by Brad Paisley, Iron Maiden, Backstreet Boys, Marco Antonio Solis, Selena Gomez, and Lady Antebellum, among other stars. Among its forthcoming events include The Ultimate Fighting Finale, Clipper vs. Nuggets Pre-season Game, Barrett Jackson, Funny or Die Oddball Fest: Flight of the Conchords, Dave Chappelle and more, and Mayweather vs. Canelo Closed Circuit. You know you want to get your hands on these Mandalay Bay Events Center tickets so book them already before they're all booked. The average Mandalay Bay - Events Center Tickets price will cost you between $57 and $528, if you are looking for the cheapest seats then catch the event being held at the Mandalay Bay - Events Center, Las Vegas on 26/05/2019. The average ticket will cost you the highest on 15/09/2019 at the Mandalay Bay - Events Center, Las Vegas. Minimum get in price is for Mandalay Bay - Events Center Tickets is $38 for the event being held at the Mandalay Bay - Events Center, Las Vegas on 06/07/2019 , there are some venues that have a much higher get in price, for instance the cheapest seats at the Mandalay Bay - Events Center, Las Vegas on 13/09/2019 will set you back $76. What are the seat numbers for ufc 106 tickets? Where can i get the best price mandalay bay tickets? 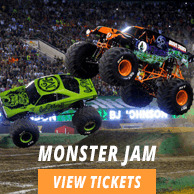 Do you feature mandalay bay - events center ticketmaster tickets? We feature tickets from the trusted brokers of Ticket Network; hence you can shop here with complete confidence. Who sells the best judds tickets in las vegas? No matter where in the world you are, you can always buy Judds Mandalay Bay Events Center Tickets from us. I need to get the john mayer tickets at mandalay bay? We have a large collection of John Mayer at Mandalay Bay Center tickets, have a look at them now! Will it be fun at the backstreet boys in las vegas, nv in july, 2019? Mandalay Bay Events Center tickets will for sure get you want you want so go for it. When do madalay bay tickets go on sale? Mandalay Bay Events Center tickets are now up for grabs.